#LieStrong: Is Lance Armstrong’s confession the real deal? Posted at 10:28 pm on January 17, 2013 by Brett T.
It’s common knowledge that Oprah’s couch is where today’s celebrity goes to confess his sins and move on with his career. 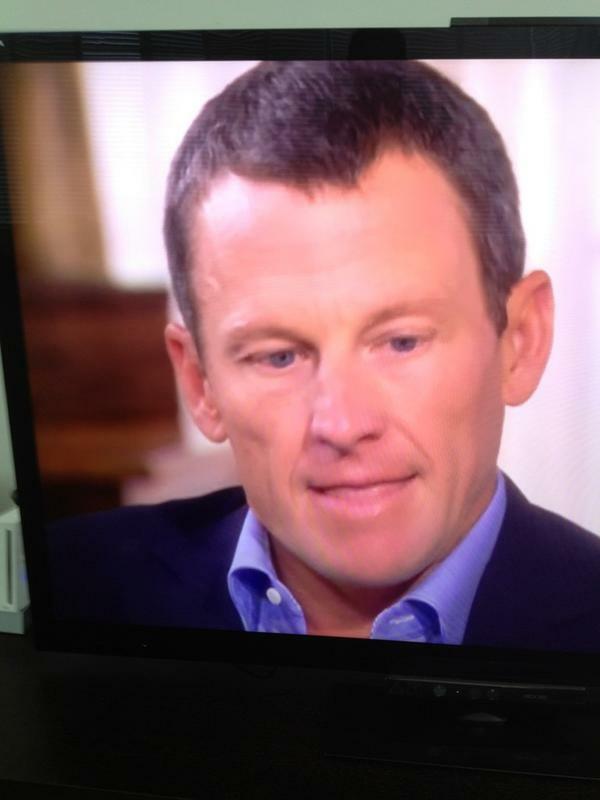 But is Lance Armstrong’s interview a true confession of cheating? Is he truly contrite? For you, that might depend on what the meaning of “is” is. Lance Armstrong's interview is a lot of semantics; says he looked up the definition of "cheat" and didn't think it applied to him. Lance Armstrong looked up the definition of "cheat" in the dictionary? That's the weirdest part of the interview so far. @AP and what did he come up with after looking up the definition of Cheat? I hope enough info was explained to him by doing that. Armstrong’s sit-down isn’t sitting well with a lot of viewers. He has a rather expansive view of what a human "flaw" is, @lancearmstrong. "It didn't feel wrong" He didn't feel bad. He didn't feel he was cheating. It's fascinating to see the persona Lance Armstrong allowed the world to admire & the one others describe and he now admits to. Lance: "It's impossible for me to answer this question and for anyone to believe it." The interview goes on for another 90 minutes tomorrow night, but many suspect even that won’t be enough time for Oprah to absolve Lance Armstrong. Raise your hand if you think @lancearmstrong understands how much he ruined the lives of people who were telling the truth. No … The tipping point was when you started cheating #LanceArmstrong … Does he sound like he wishes he'd just gotten away with it? Would love to know what Marion Jones thinks of Lance's "confession". She went to prison over lesser accusations.